Richard Brendon is a London based designer and British bone china specialist, who is best known for his considered, refined and dynamic designs. His Patternity Collection was launched last September during the London Design Festival and is one of our favourites. 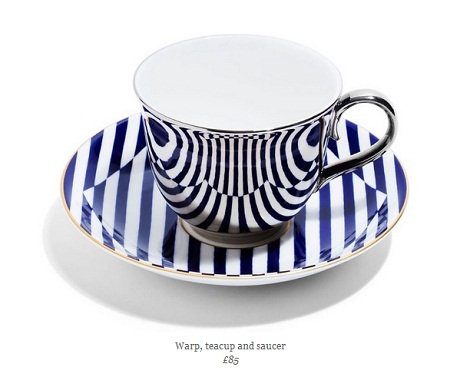 It's a collaboration with pattern innovators and warps perceptions of what British bone china can look like. The perfect mix of classic and contemporary in our eyes. Bold and crisp. Perfect with white napkins, sparkling glassware and the best silver.